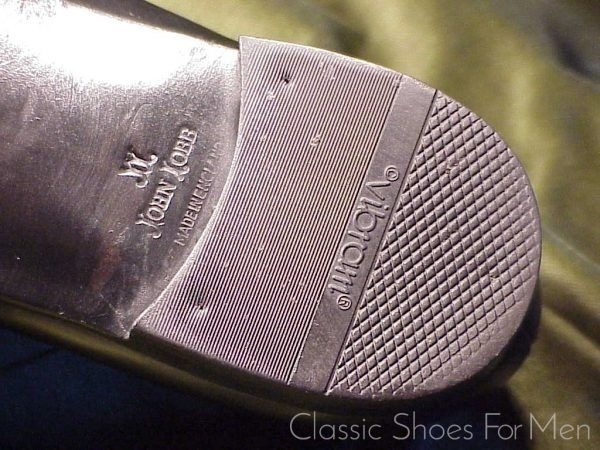 The Vienna model, one of the half dozen hand finished “Prestige” line products from Lobb, was available 10 or more years ago and is, in my estimation, superior in build to today’s production as are many of Lobbs earlier ready-mades. 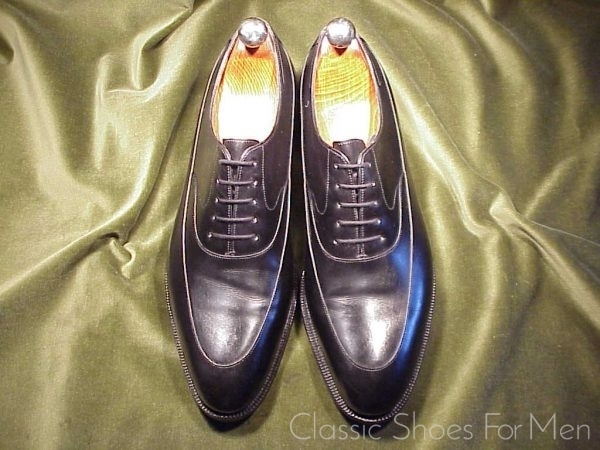 Both the quality of the leather and the uncompromising last -notice the almost spade shaped sole- make for a wonderful shoe almost on a par with their current bespoke shoes. 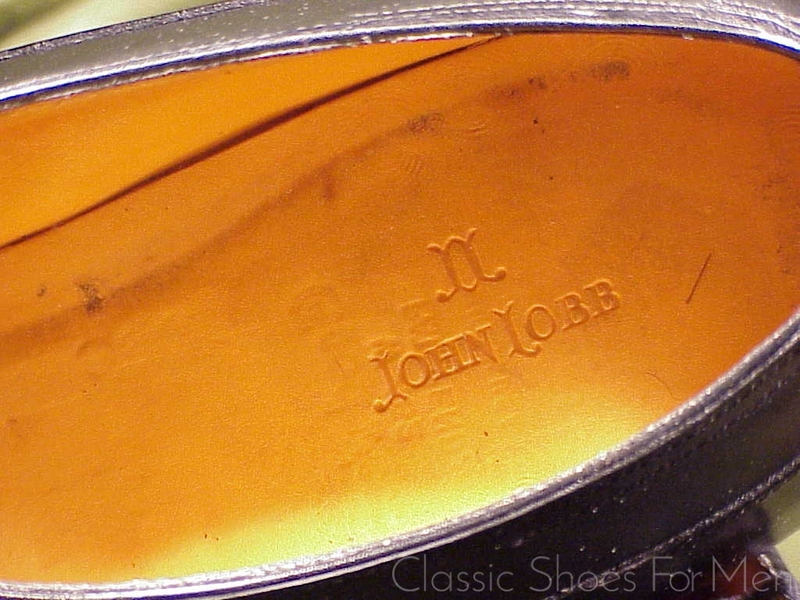 The model, a stream-lined development of the Norwegian is unique in my experience -no other maker has produced quite this form- and Lobb’s version itself is very seldom seen. 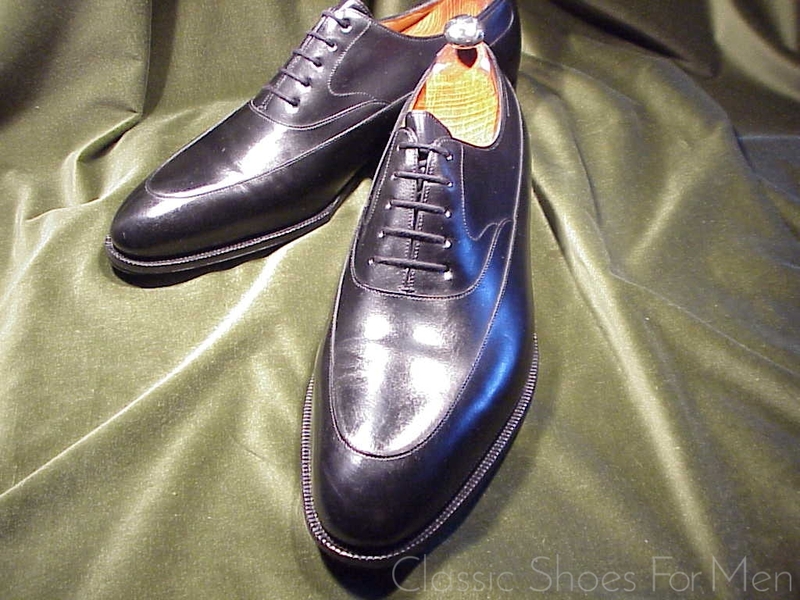 Most likely a one-year model like many of their Prestige Line shoes. 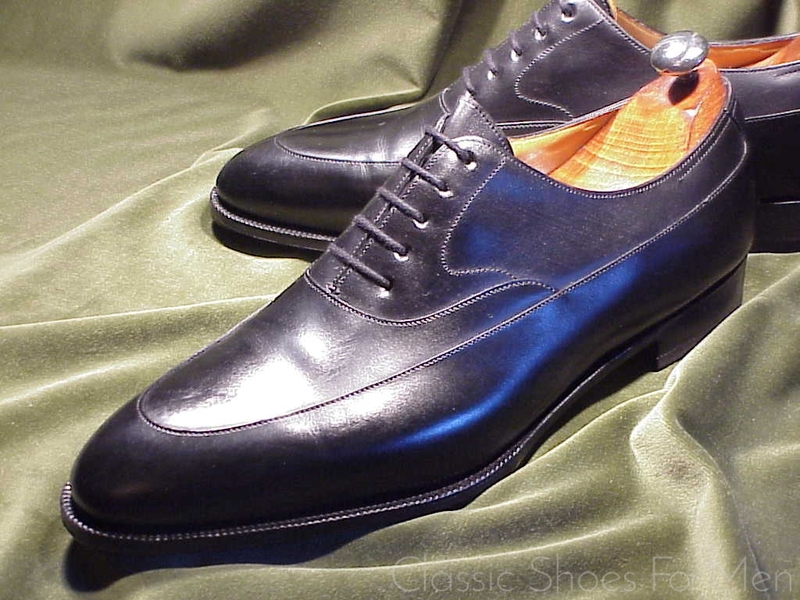 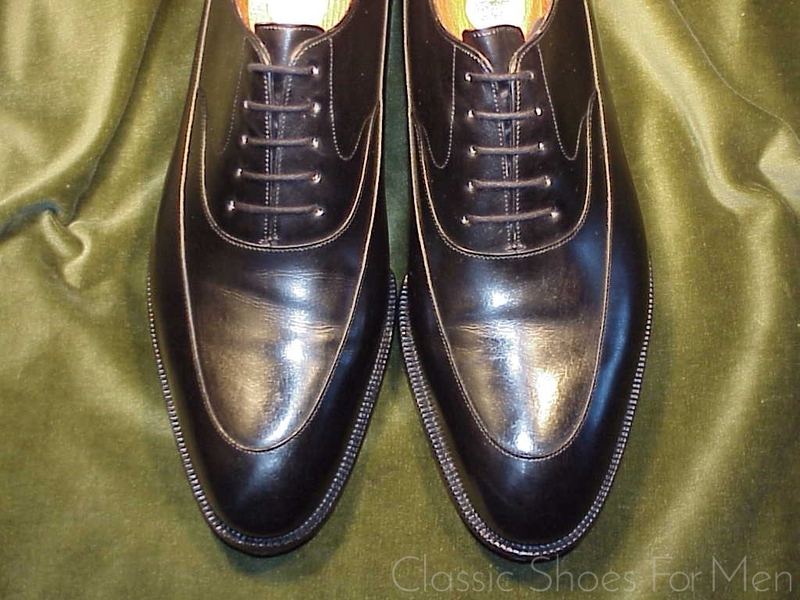 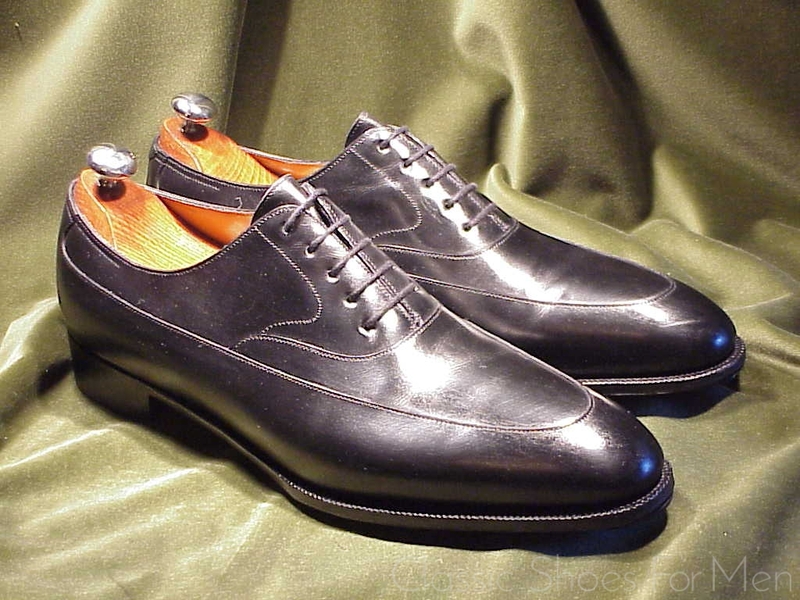 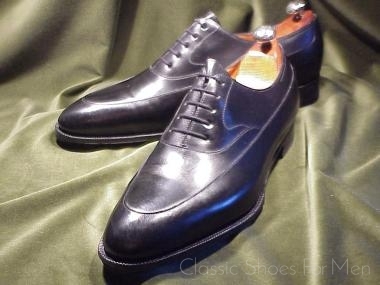 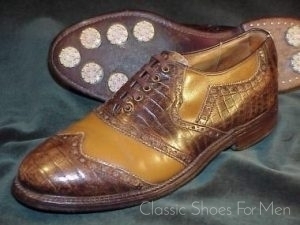 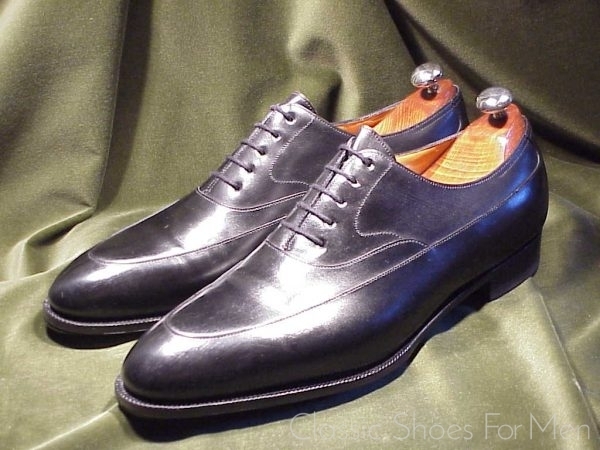 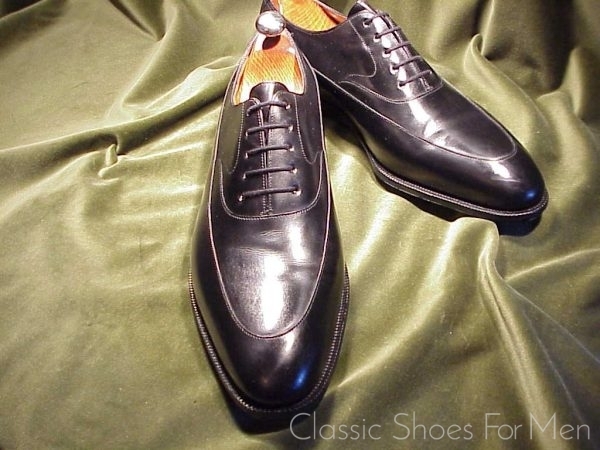 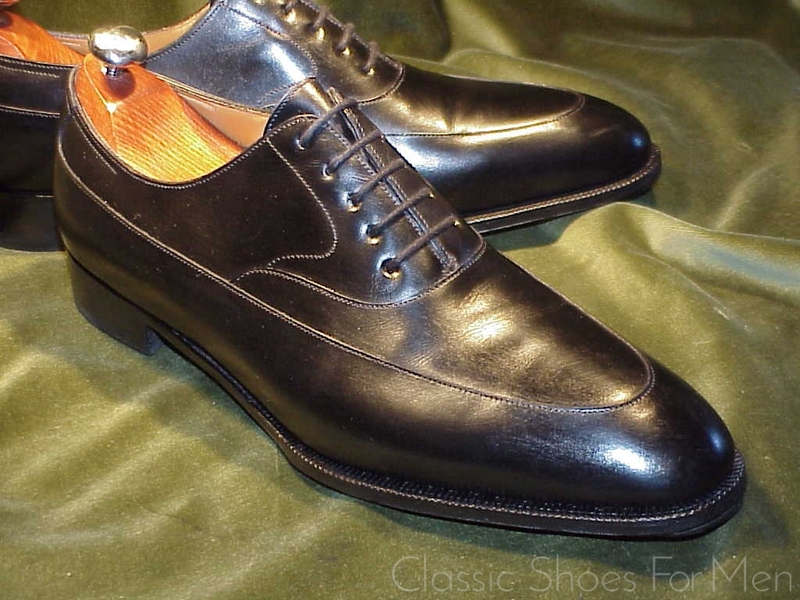 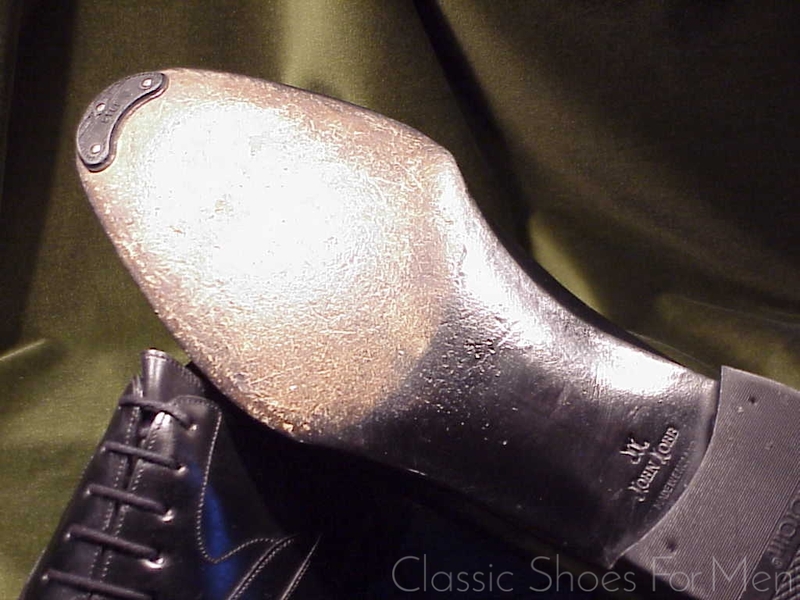 In short, the Prestige line shoes hover somewhere between the bespoke and the ready-mades, much more of the finishing being done by hand than in the ready-mades and they are easily distinguished by the narrower waist, the spade sole, and instep arched over the shank, all properties they share with their bespoke brethren. 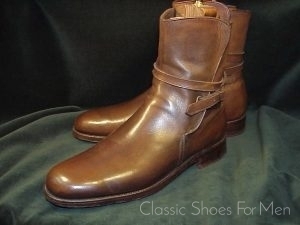 Size: Marked UK 11.5E…..US 12-12.5D…..46-46.5D, for the medium width foot. 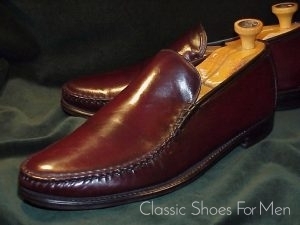 Please feel free to address me with any size questions. 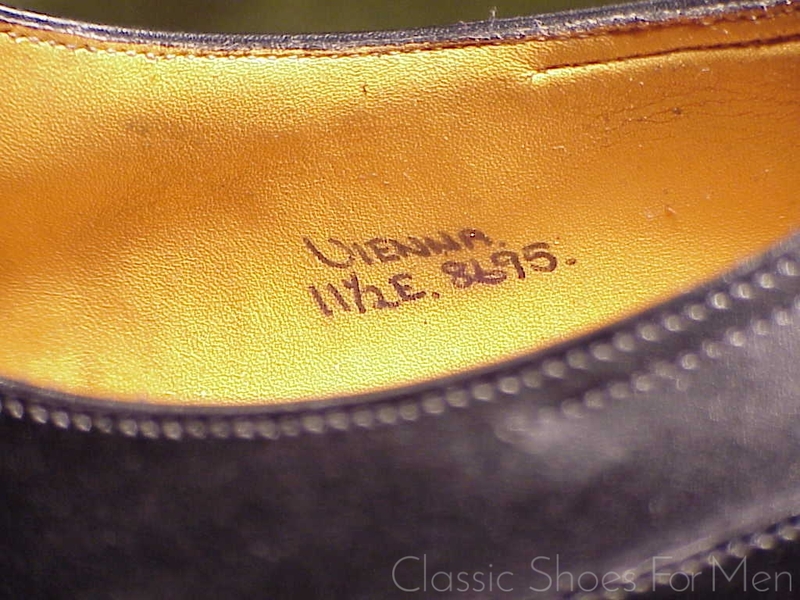 Condition: Nearly new; neuwertig. 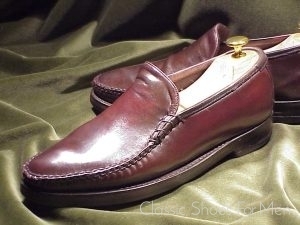 Slightest wear to bottoms; perhaps worn two or three times. 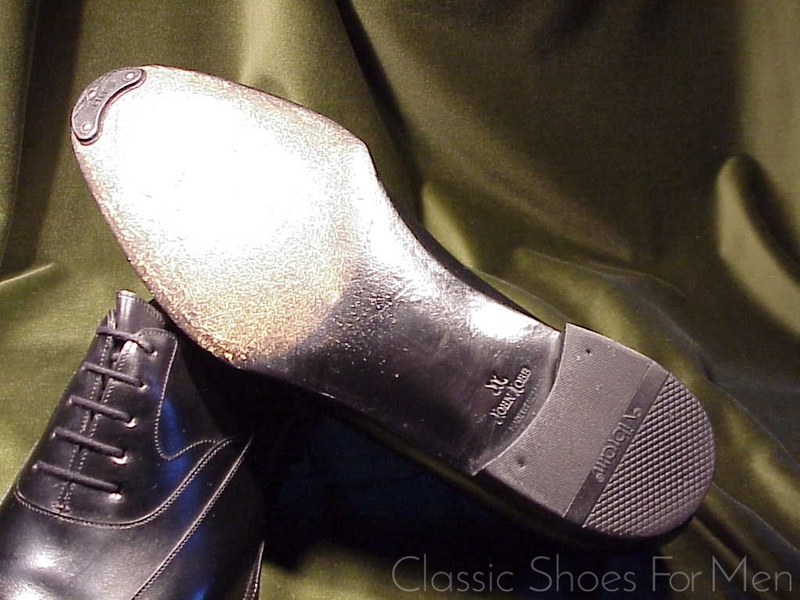 These have been fitted with full rubber heels and (removable) heel protectors. Sold withour trees.